We are a nation of animal lovers. But the shelters we expect to provide dogs and cats a second chance are instead killing three million of them. And for far too long, we have been told that the killing is exclusively the public’s fault. That shelters–through no fault of their own–are merely performing the public’s dirty work–with skill, compassion, and dedication. Nothing could be further from the truth. Staff cut corners by cleaning dog kennels with high pressure hoses and caustic chemicals while leaving the dogs in the run, instead of removing them as they should. The dogs either become sick or become fearful of people and then are killed as “unadoptable.” Here, dogs are wet and shivering after being sprayed with water and chemicals. 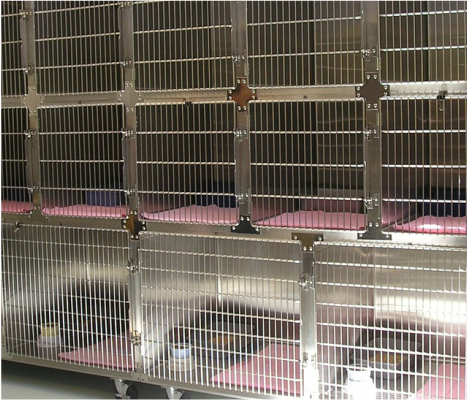 ﻿They call it “humane euthanasia” but shelter killing is often anything but humane. Even the methods used are troublesome. Some shelters place dogs and cats in gas chambers like the one here. Gas systems take time to kill–during which animals experience distress and anxiety, and can struggle to survive. They can result in animals surviving the gassing, only to suffer more. And they take longer to kill if animals are young, old, or have respiratory infections, which can be common in shelters. They are designed for the ease of shelter workers, not care and compassion for the animals and should never be used. The preferred method of killing in the U.S. is an overdose of barbiturates. Although better than gas systems by far, lethal injection is not always painless either, as anyone who has witnessed the killing of animals in shelters can attest. With some animals, there is fear, disorientation, nausea and many times even a struggle. Although better than gas systems by far, lethal injection is not always painless either, as anyone who has witnessed the kA dog who is skittish, for example, is made even more fearful by the smells and surroundings of the animal shelter. He doesn’t understand why he is there and away from the only family he has ever loved. To kill this dog, he may have to be “catch-poled” a device that wraps a hard-wire noose around the dog’s neck. He struggles to free himself from the grip, only to result in more fear and pain when he realizes he cannot. The dog often urinates and defecates on himself, unsure of what is occurring. Often the head is held hard to the ground or against the wall so that another staff member can enter the kennel and inject him with a sedative. While the catch-pole is left around the neck, the dog struggles to maintain his balance, he tries to stand, but his legs give way. He is frightened by the people around him. He does not understand what is happening. He goes limp and then unconscious. That is when staff administers the fatal dose. 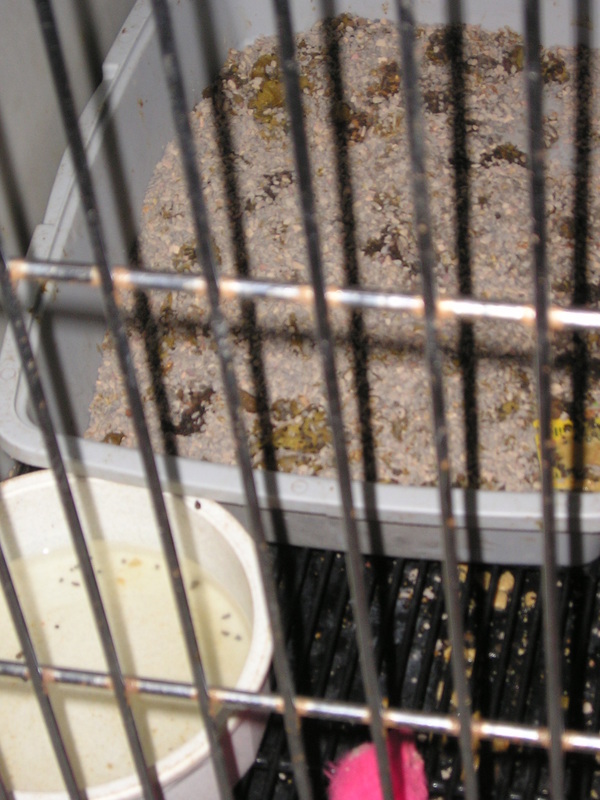 From algae covered water bowls for dogs, to rabbits with empty water bottles trying frantically to drink, to puppies slowly dying while they languish with no care, too many U.S. animal shelters neglect, abuse and needlessly kill animals. To this day, animal shelters continue to ignore their own culpability in the killing, while professing to lament it as entirely the fault of the public’s failure to spay/neuter or to make lifetime commitments to their animals. Instead of embracing the No Kill philosophy, many shelters are still not sterilizing animals before adoption or providing the public with affordable alternatives. Some do not have foster care programs and do not socialize and/or rehabilitate dogs with behavior issues. Still others do not take animals offsite for adoption, have not developed partnerships with rescue groups, limit volunteerism, are not practicing trap-neuter- release for feral cats, and still retain adoption hours that make it difficult for working people or families to visit the shelter. The failure to implement these programs is mostly the result of one fact: they believe a certain level of killing is acceptable. Indeed, some would go as far as to deny they are even killing. At the largest national animal sheltering conference in the United States, a featured speaker and expert on “euthanasia” flatly denied that shelters were even killing animals: "We are not killing [animals in shelters]. We are taking their life, we are ending their life, we are giving them a good death… but we are not killing." When you sugarcoat the words, you do not make the act more palatable. The power to change the status quo is in your hands.